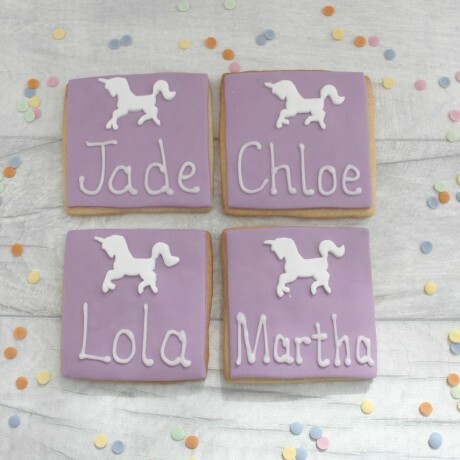 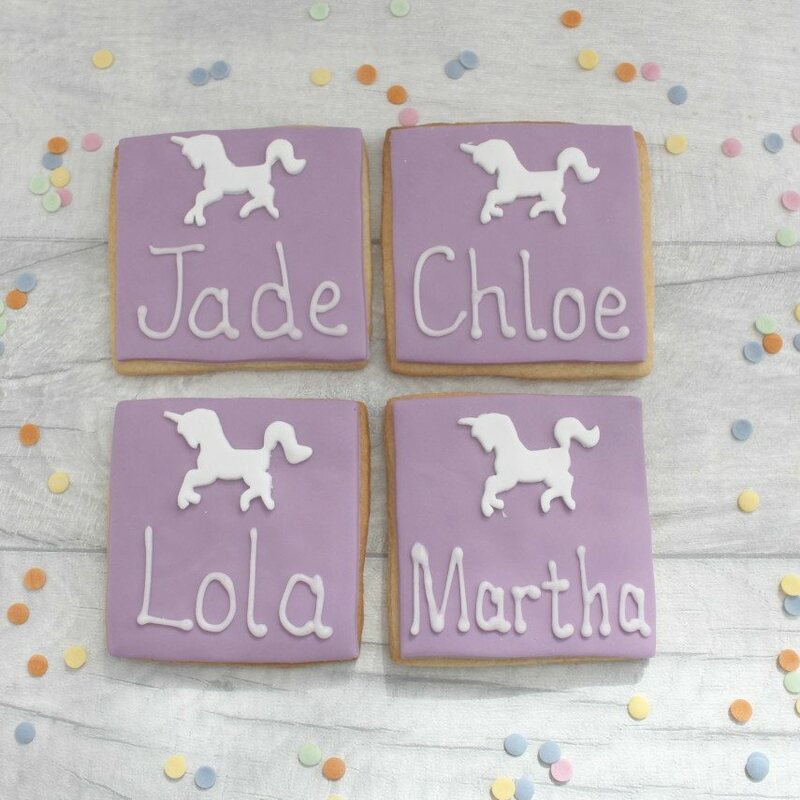 Beautiful handmade unicorn themed cookies which you can personalise with a name and your choice of colour. 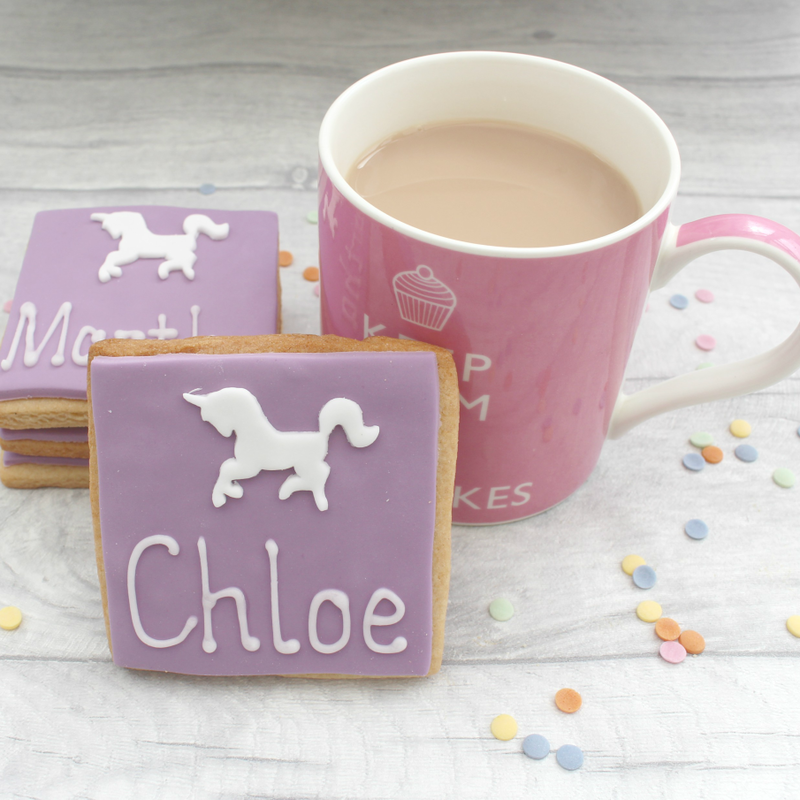 Perfect as favours for a wedding, hen party, birthday party, or even just as a gift set! Made with sugarpaste and piped royal icing, in your choice of Vanilla, Gingerbread or Chocolate biscuit flavour.The coloured paste they are made from is handmade, so colours may vary slightly, and screen colours may also change the colour of the original product.